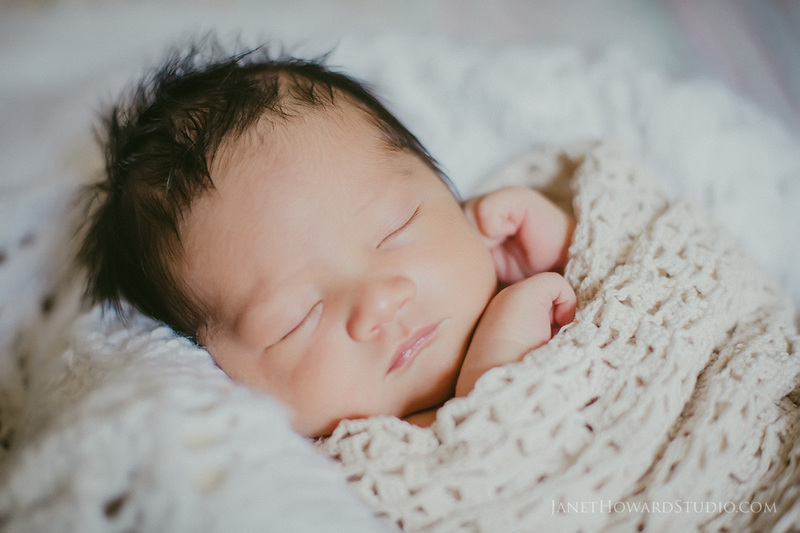 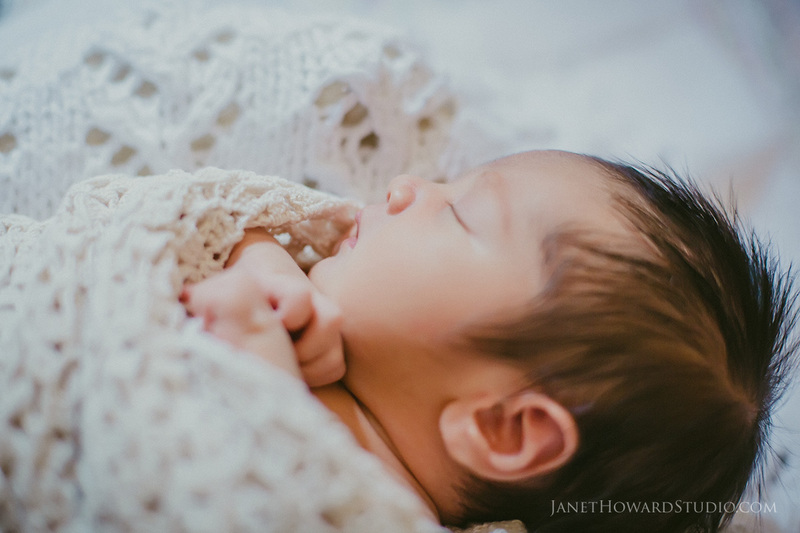 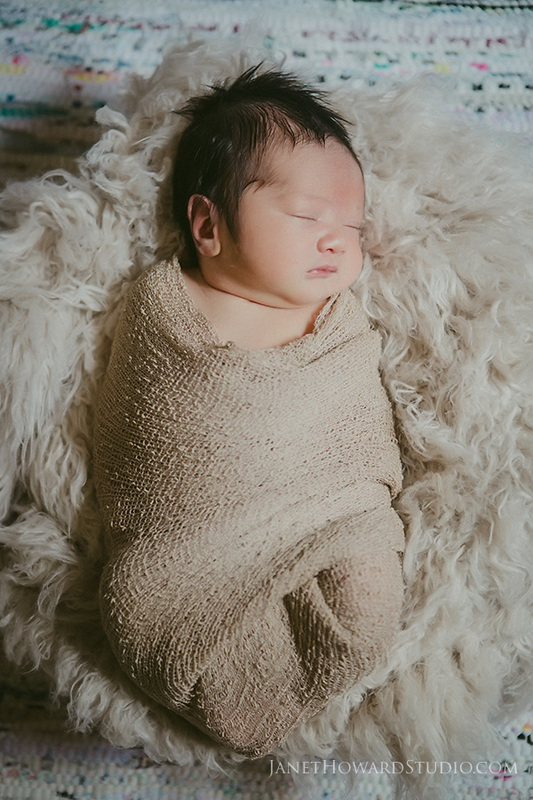 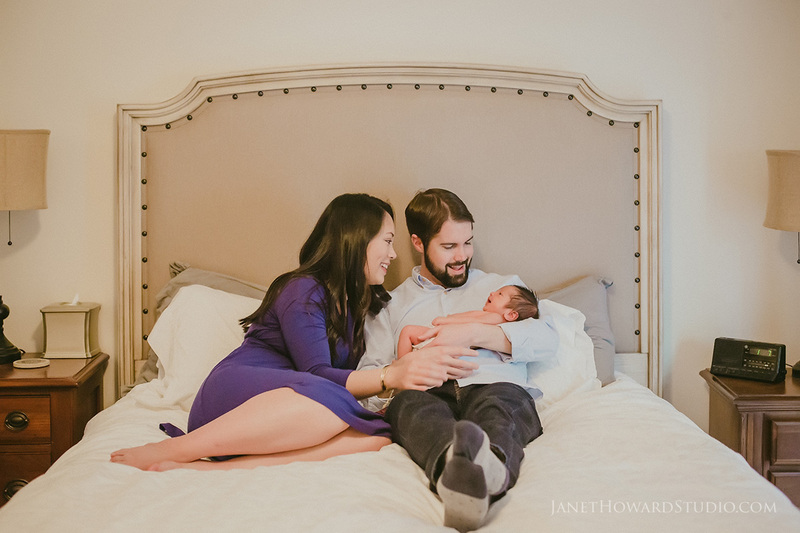 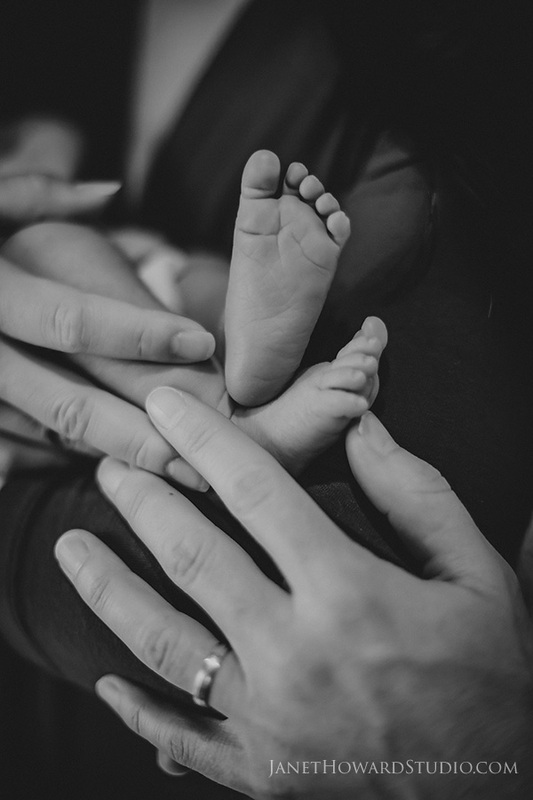 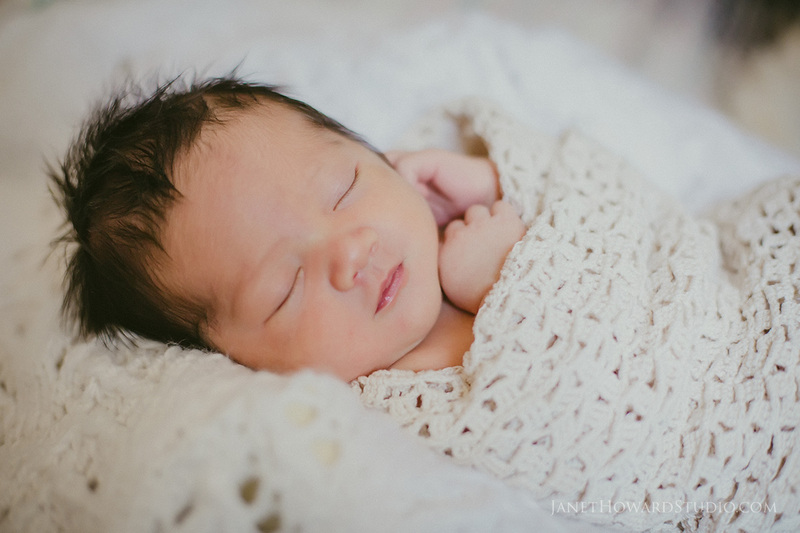 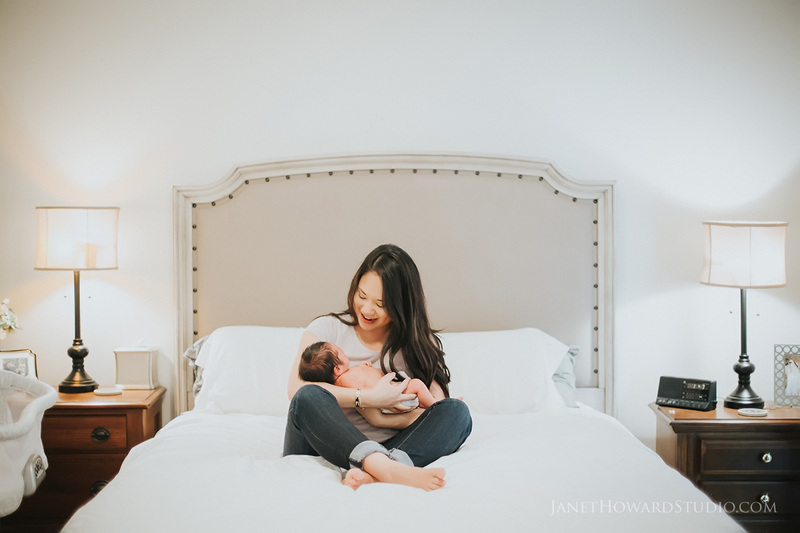 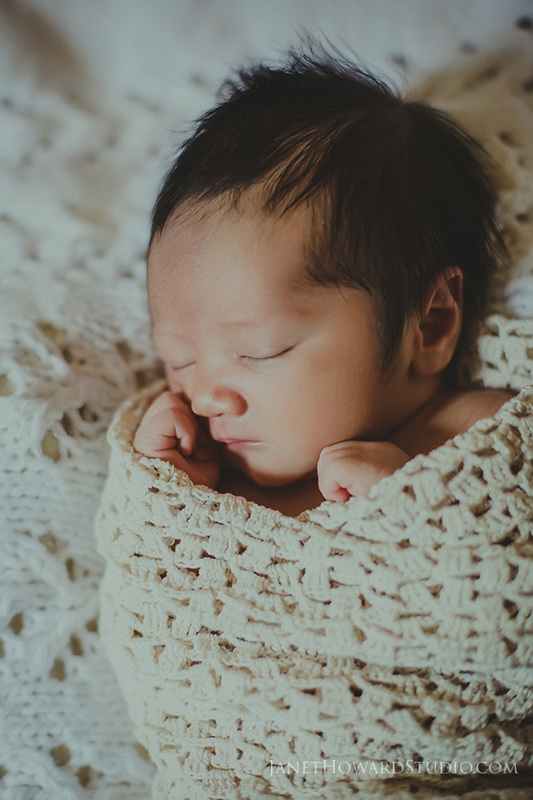 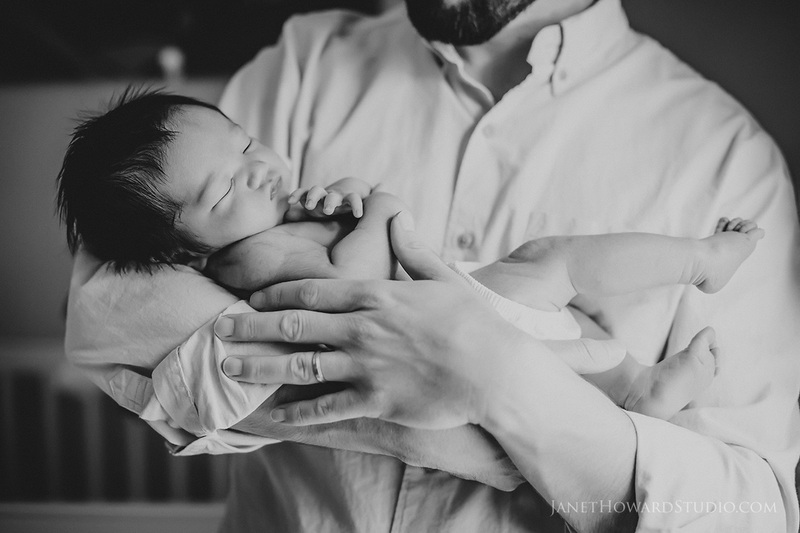 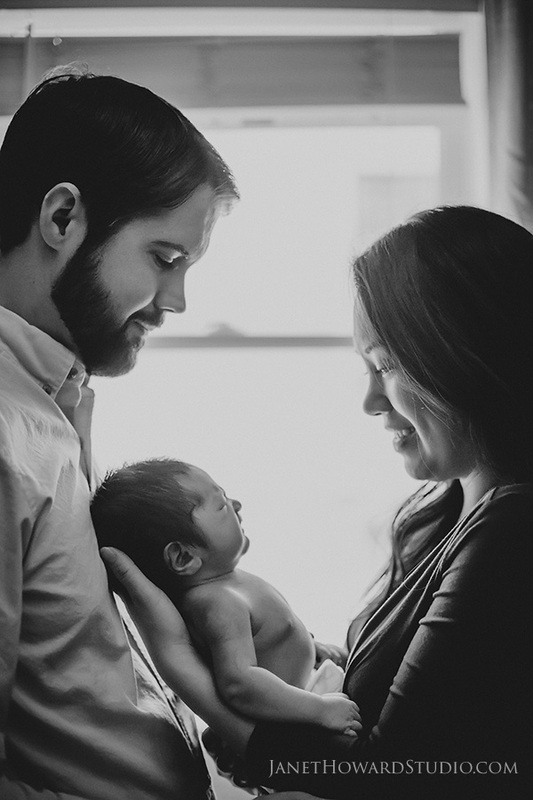 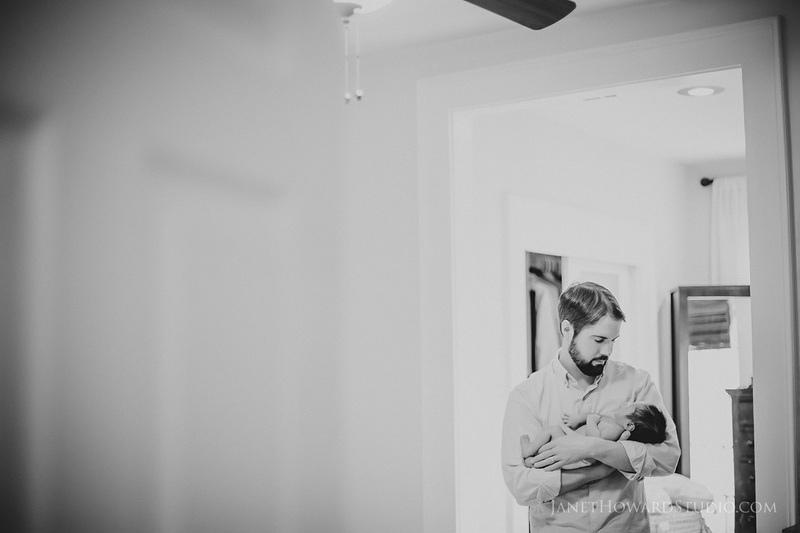 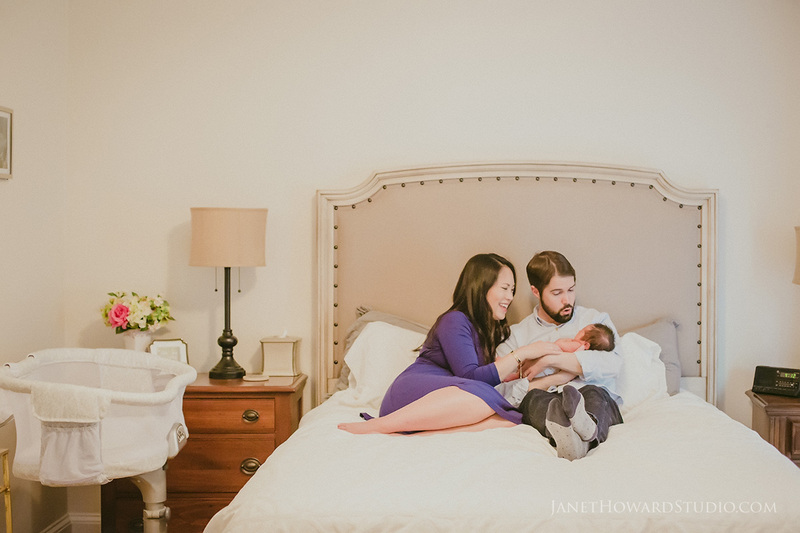 Lifestyle Newborn Photos | Owen is Here! 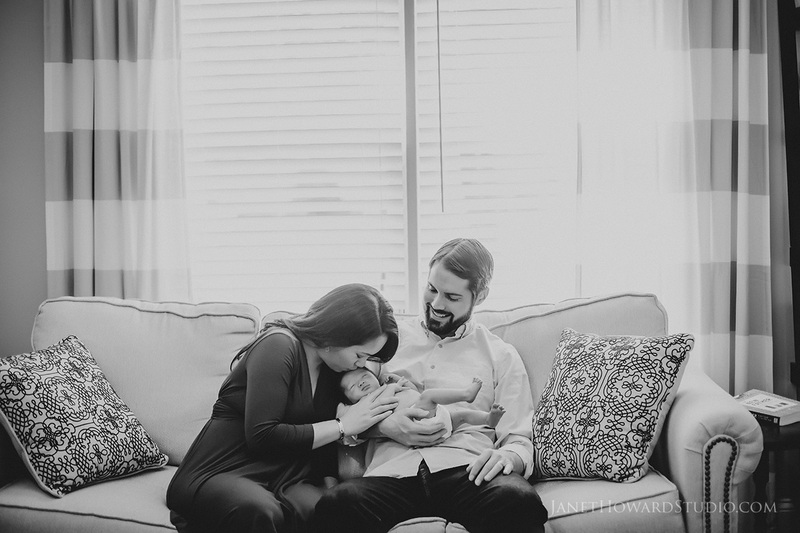 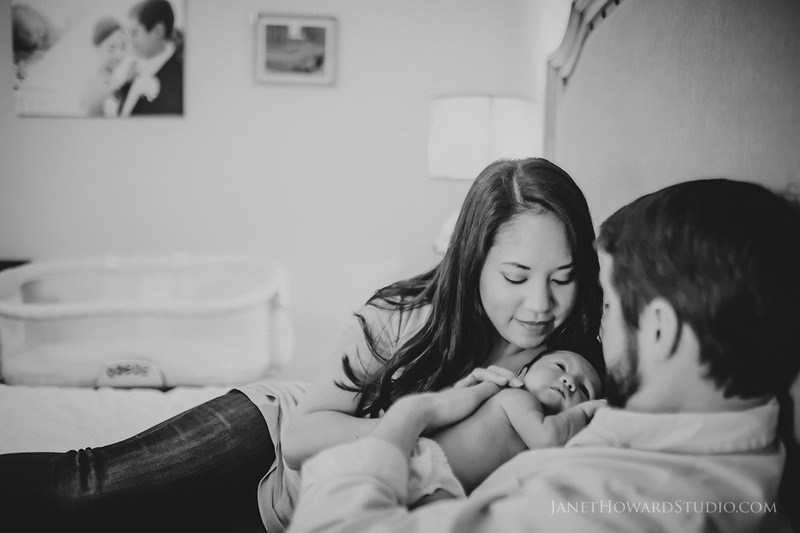 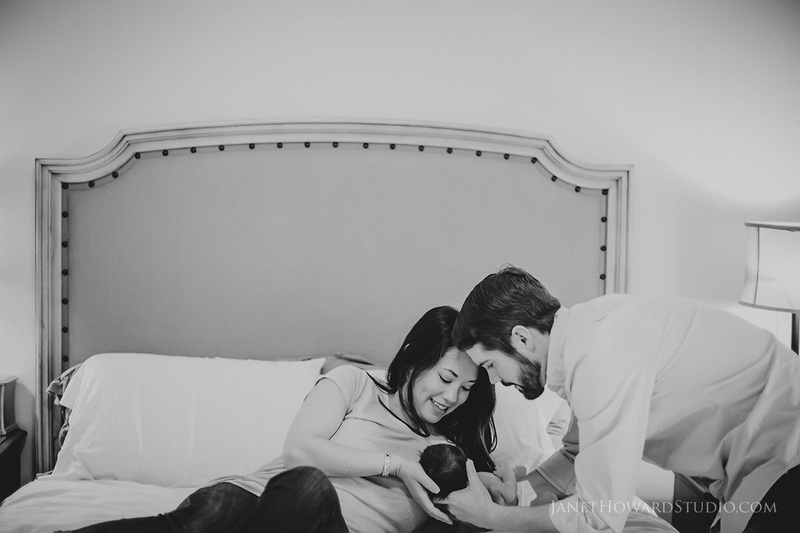 A few weeks ago you saw Kristina, and her Baby in Belly session. 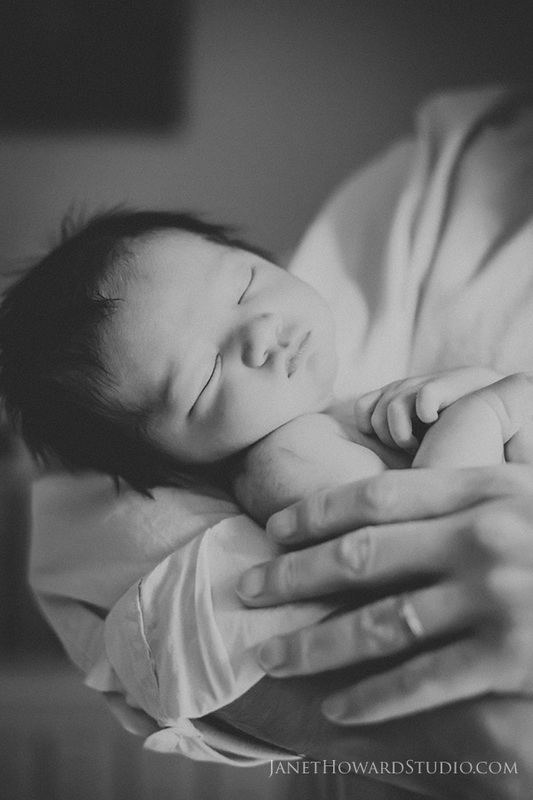 Well now baby Owen is here! 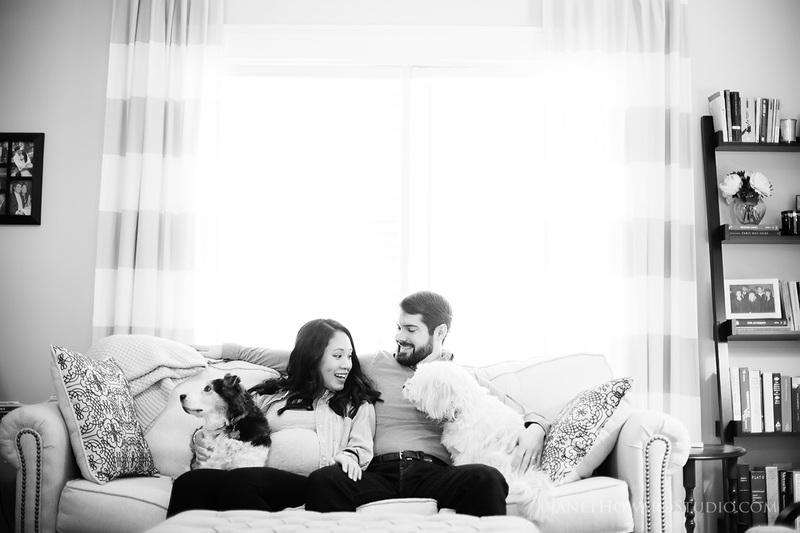 They wanted their session to have a very natural feel, so we took a lifestyle approach. 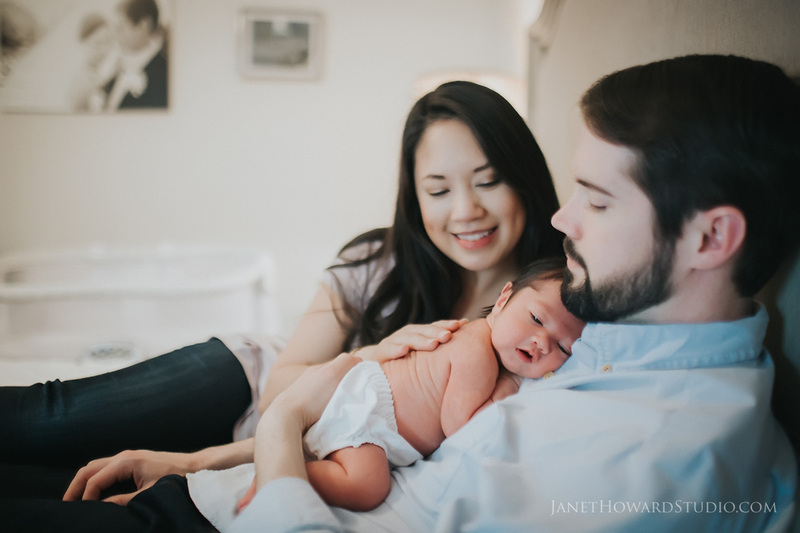 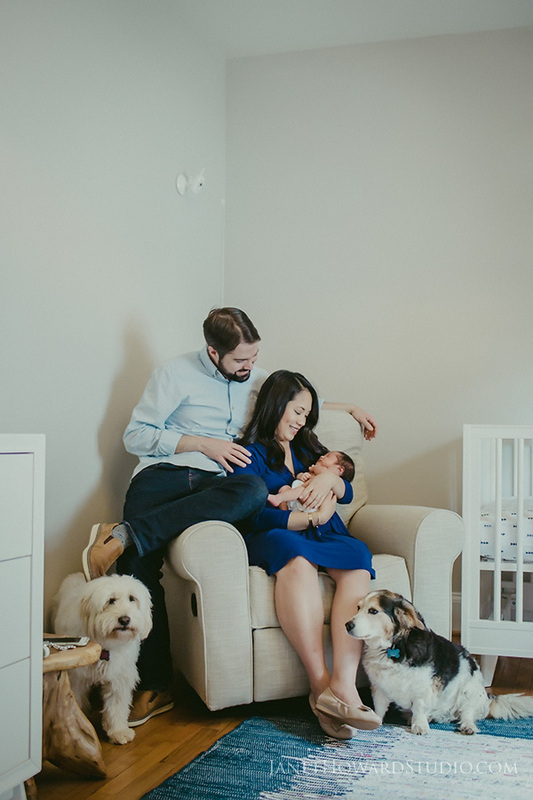 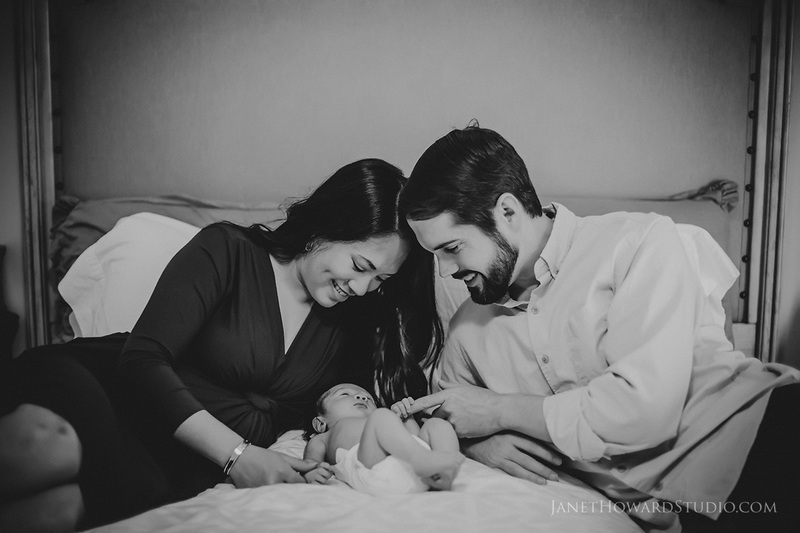 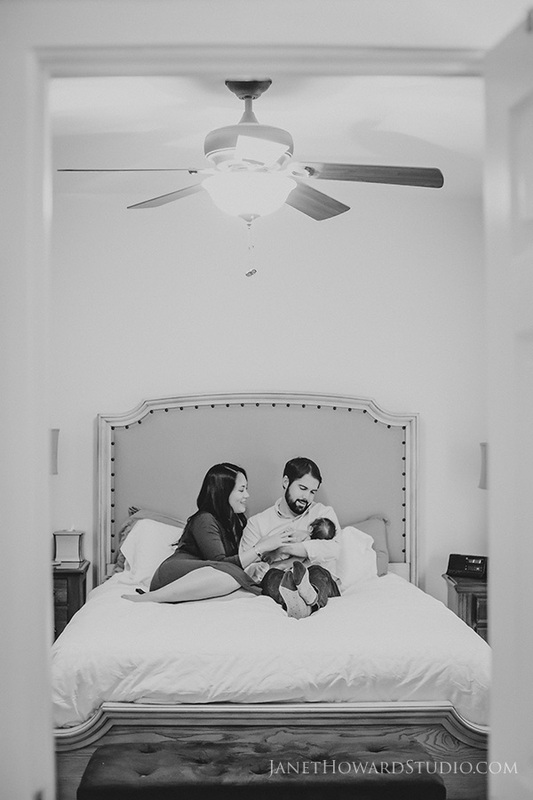 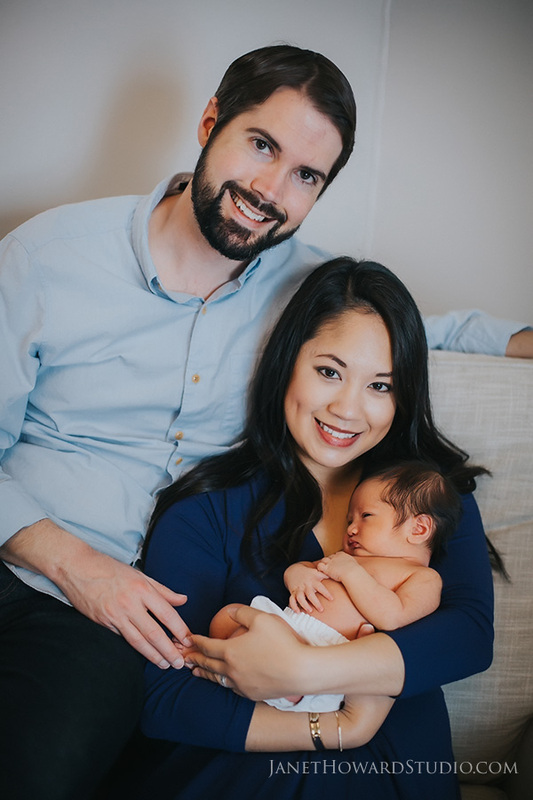 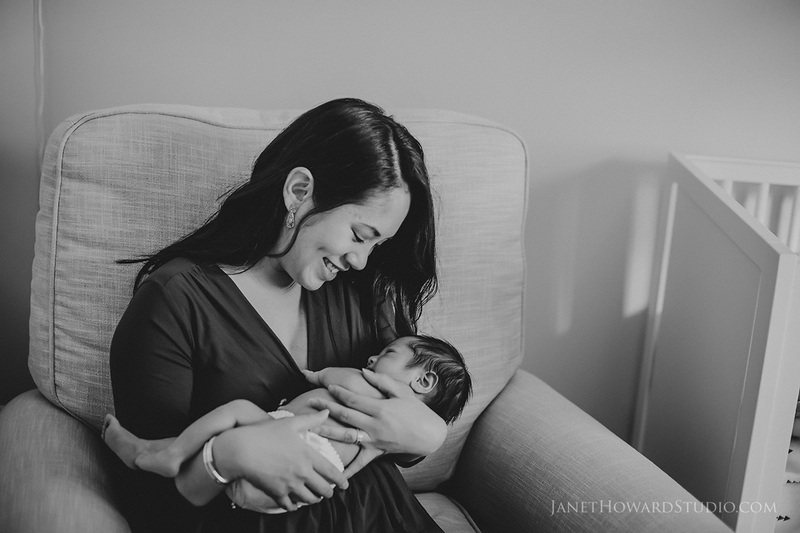 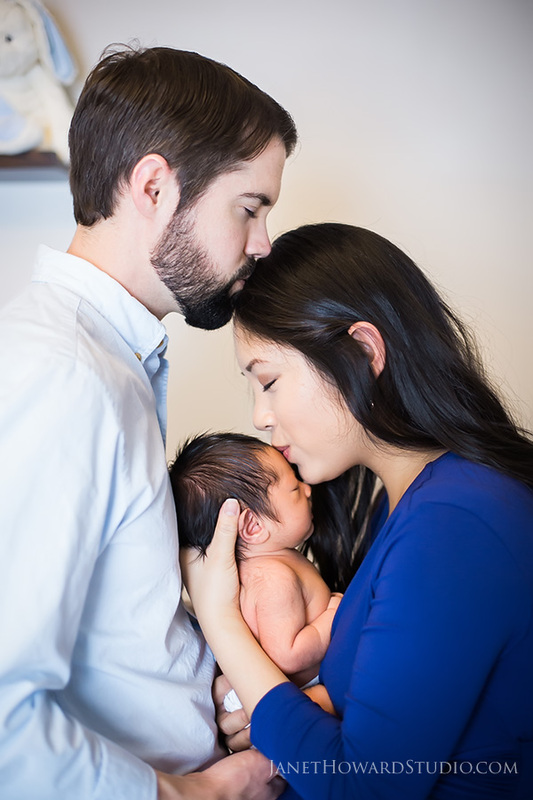 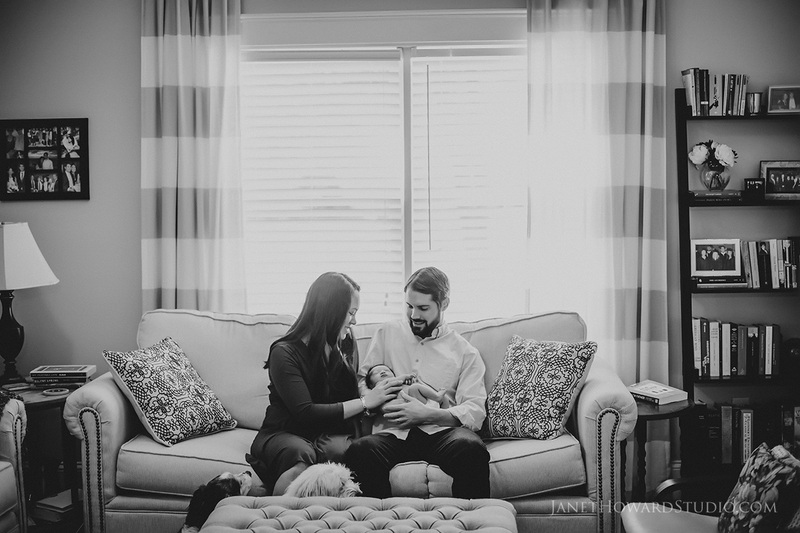 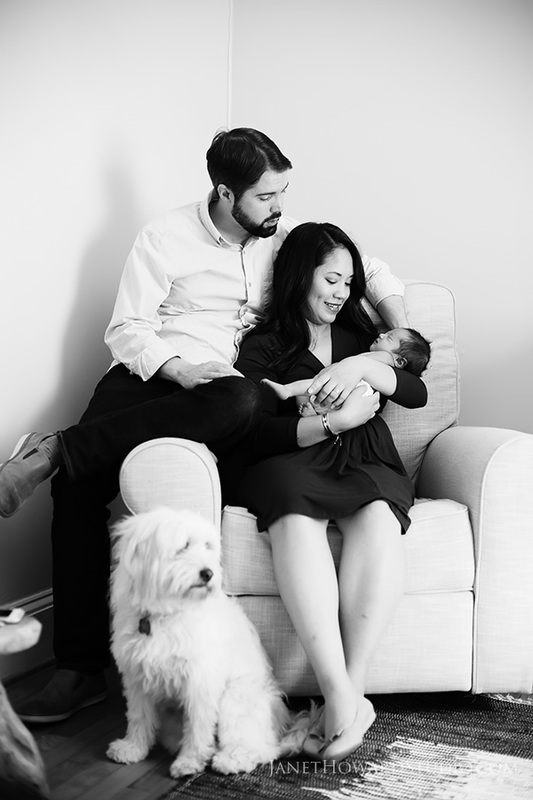 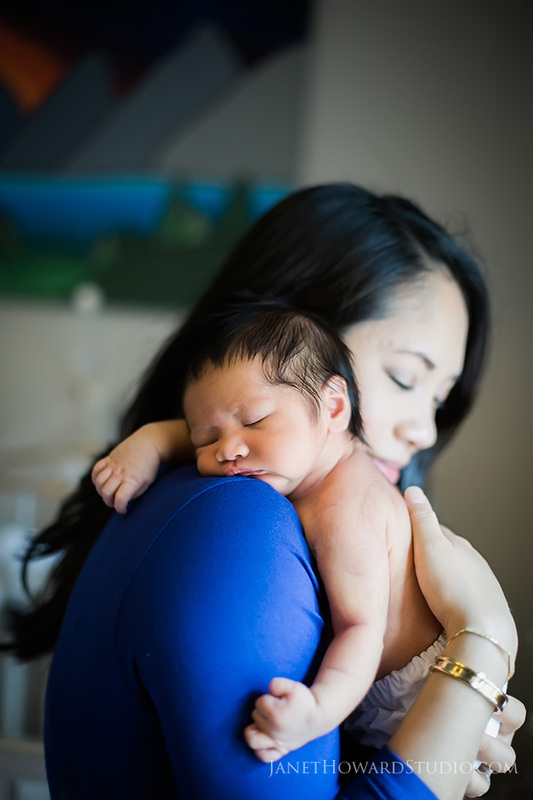 I love doing lifestyle newborn photos (less posed and more natural) because believe it or not, newborn sessions don’t have to just be about the baby… it’s about the whole family, about you you look at each other and comfort each other, and the fact that this new baby is a part of REAL LIFE. 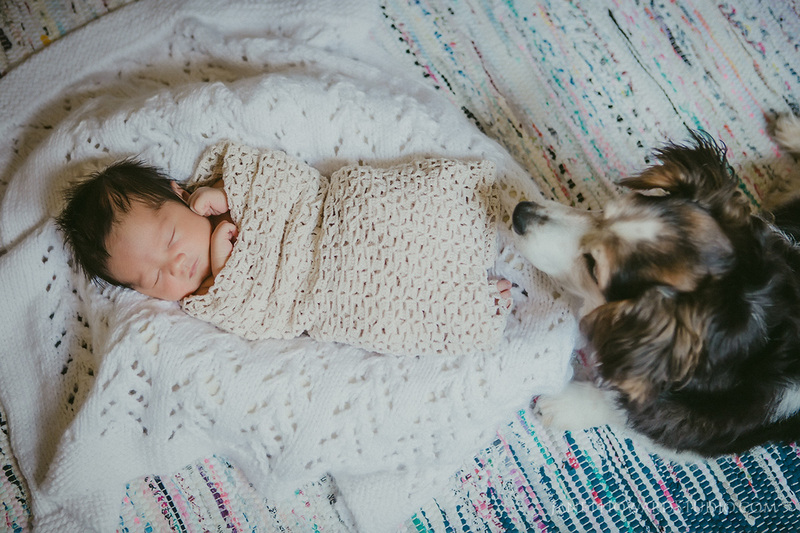 This is Bailey. 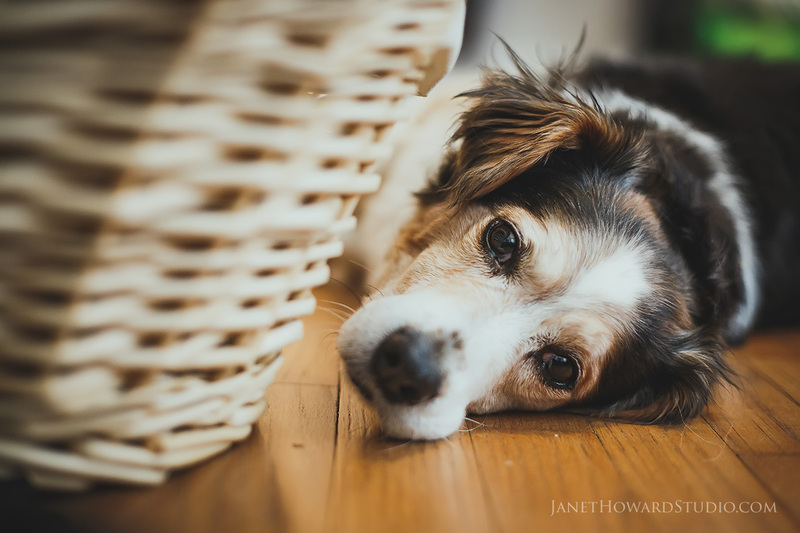 She’s my best dog friend when I visit them. 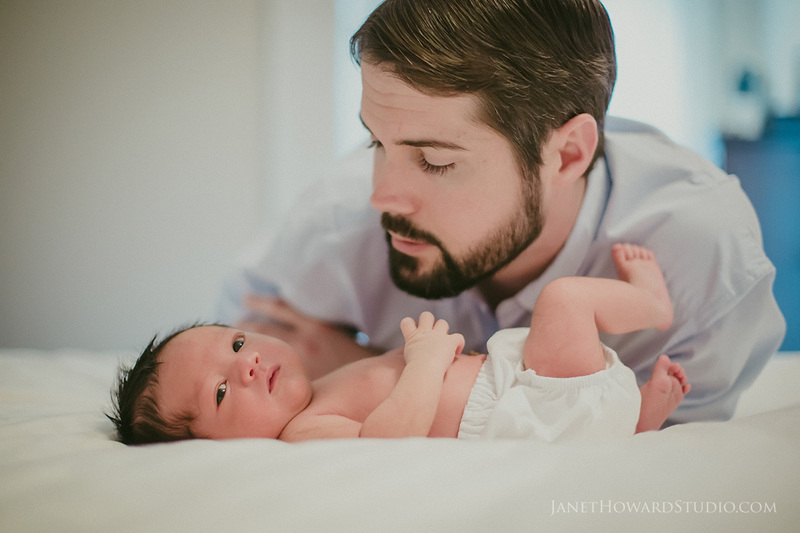 I also love the comparison here between the pre-baby photos and now with the baby. 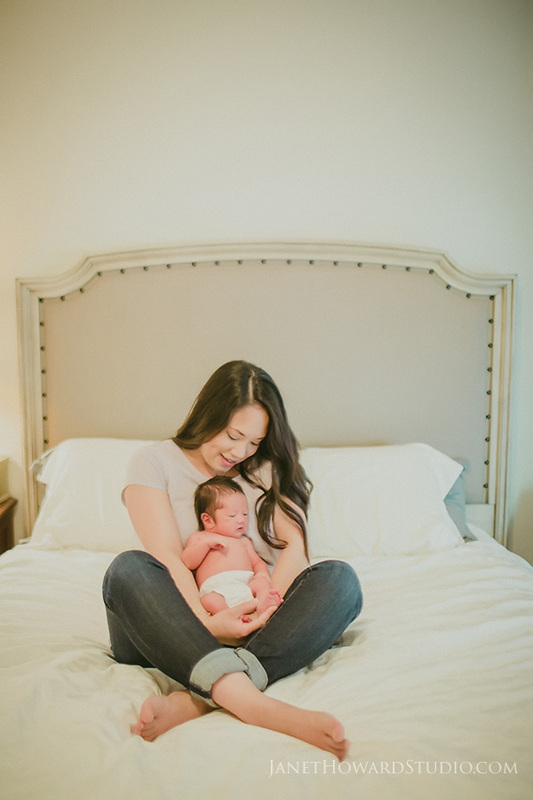 I love these natural shoots because my favorite part is all the snuggles and cuddles. 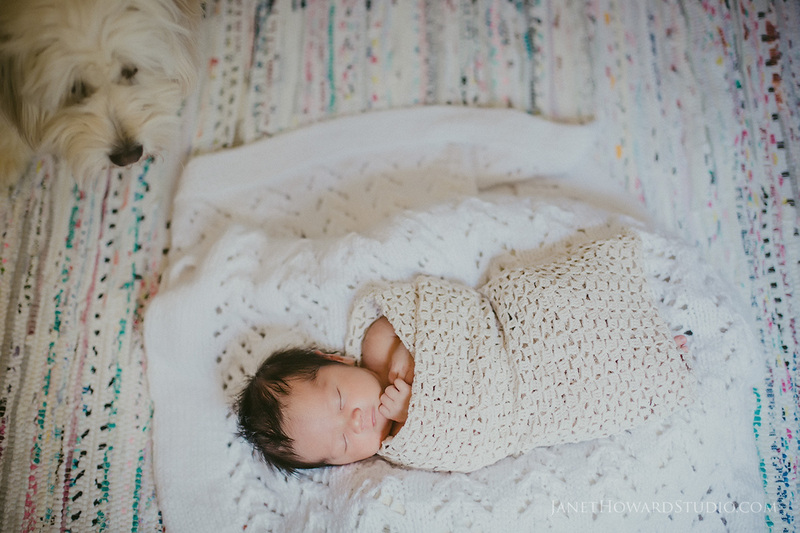 Of course we did get some photos of just Owen too. 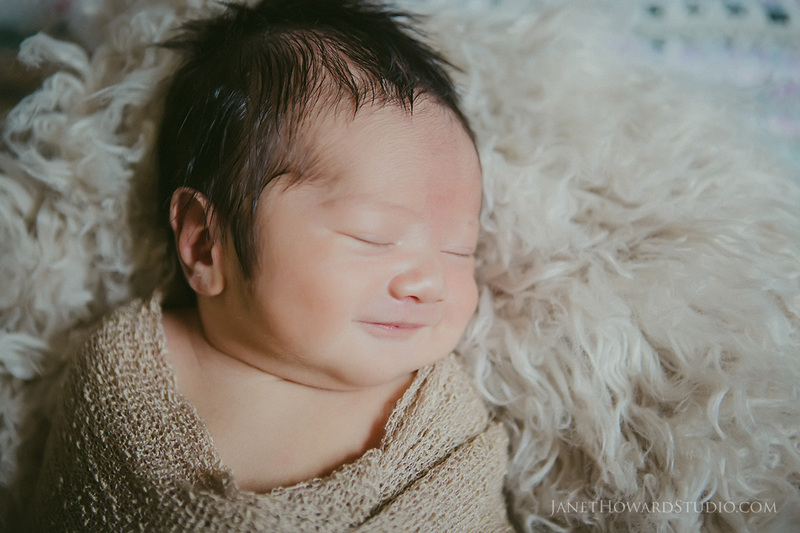 Ok, look, I know when a newborn smiles it’s not really a happy smile, but I love love love a baby smile. 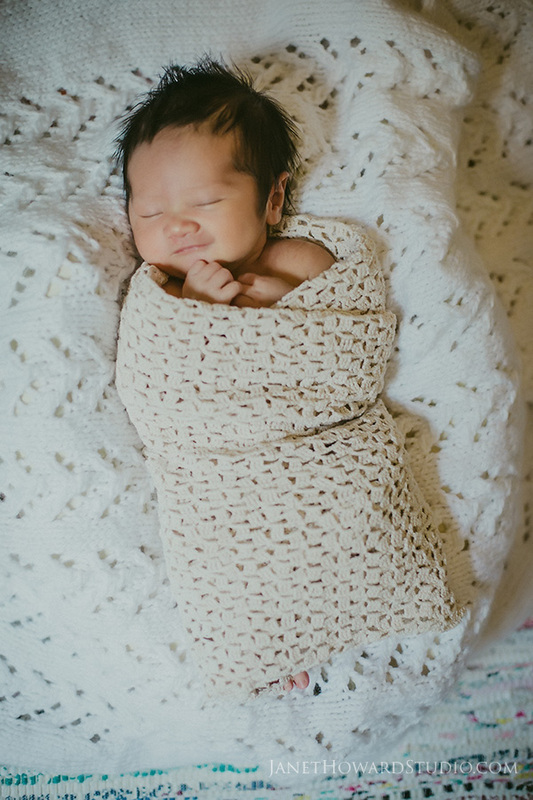 And those teeny toes poking out of the blanket. 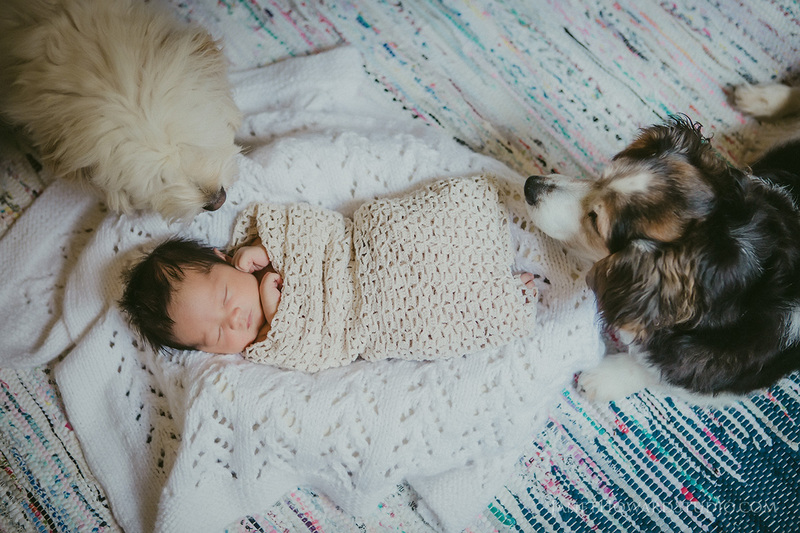 And the dogs were so sweet and protective. 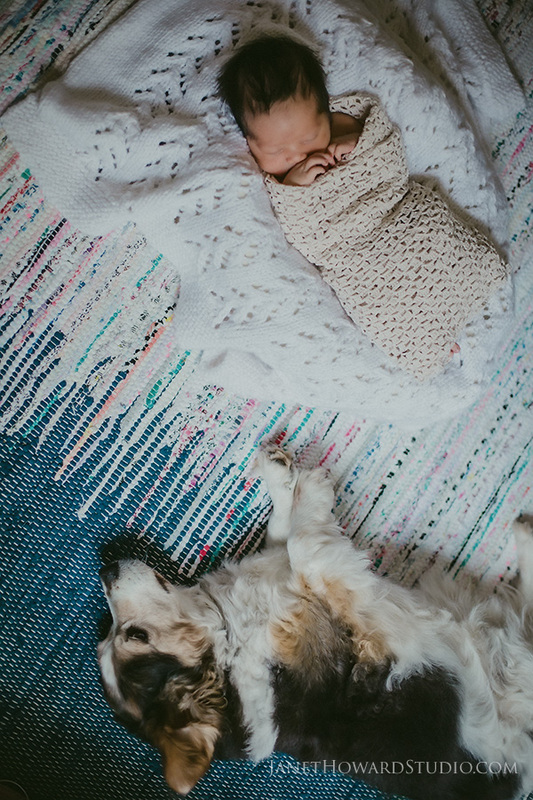 They kept a close eye on the baby. 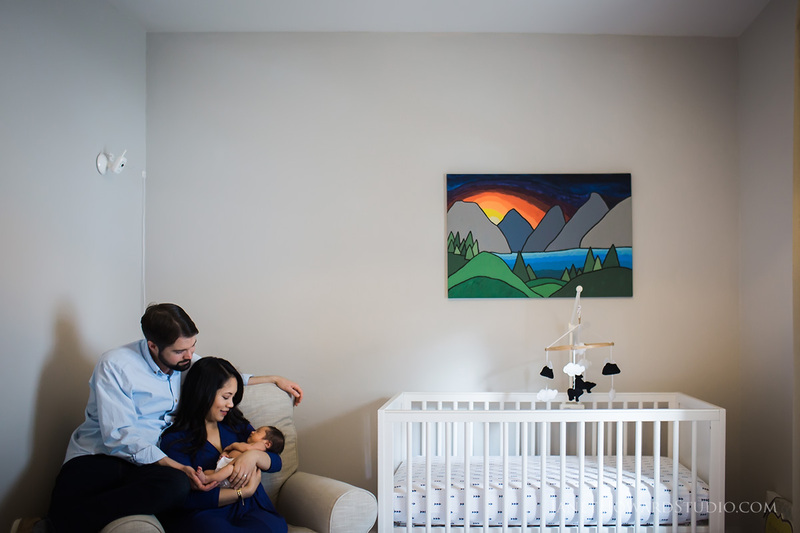 Oh, and can I say how happy it makes me to show this new family and on the wall behind them is an image I took at their wedding?